This installment of Icicle’s new features covers some high-level enhancements to Icicle’s platform as well as some specific ones for smoother operations. 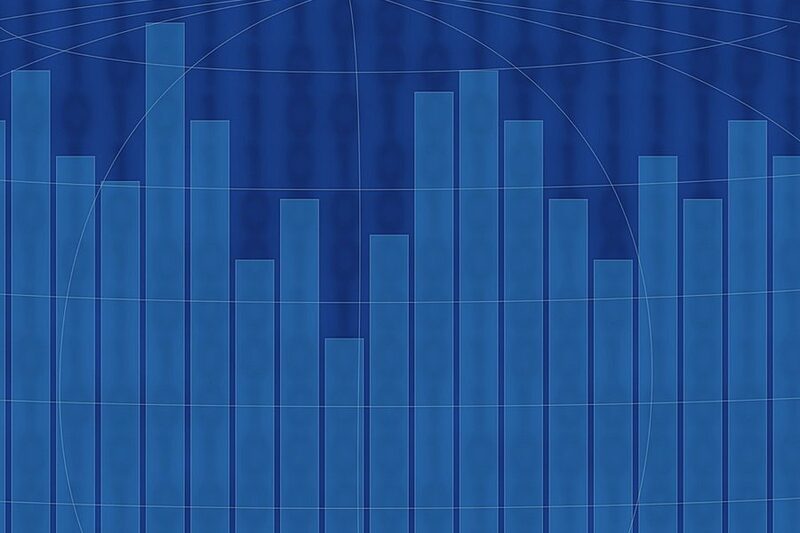 First, we’ll take a look at Icicle’s growing Big Data development with the introduction of Trending. We’ve also made improvements to the Inventory Transactions Interface, procurement and receiving features, and GS1 barcode generation. What does it do? At Icicle, we’re always working on new ways for you to benefit from all the data you have to compile for regulatory purposes. With the new Trending feature, you can now select various metrics for sales, production, quality control checks, lab tests and incidents and generate user-friendly graphs and tables to display the data so you can leverage that information to improve your operations and make your programs more effective. Thr ough a variety of different ways, with Trending, you can see what your sales data or production rates look like over time (for example, how much of X product did you make this month compared to last month? How much did you sell? ), monitor quality controls and lab tests at a higher level, and do other things like view your customer complaint counts during a specific period of time. Not only is this data helpful for management and executive oversight, it is also essential for audits. It’s important to note that these features will work best when you are using as many parts of the Icicle platform as is applicable to your business. If you don’t use the Sales Orders interface, for example, there won’t be data in Icicle to trend about your sales. By keeping all your data in one place, you can reap the benefits in many areas – and this is just the beginning of Icicle’s expansion into Big Data that will deliver more analytics for our users. As the platform develops, we will also be able to introduce more predictive features that help you save serious time, like our Smart Hazard Suggestions. Where did the idea come from? Thanks to Aliya and Noorudin from Aliya Foods for their input in developing this Trending feature! What does it do? 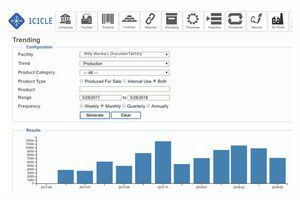 Last year, we released our Inventory Transactions Interface, which allows you to choose a product, ingredient, material, packaging, or part and enter a lot code to view the entire transaction history of that item in chronological order. This information, which Icicle already collected but previously could only be viewed if you issued a recall (this is how Automatic Mass Balance Calculations work), is useful for tracking inventory discrepancies and other tasks. It turns out that it was even more useful than we thought – especially once we added the ability for you to pick a particular item and date range so that you can see the entire historical record of that item. Since previously you could only search by lot code, we’ve enhanced the feature so that you can look up a product, for example, and see all of that product for every lot code. With the ability to narrow your search by date range, this information can be used even more efficiently. Where did the idea come from? Brian from the Chai Company came up with the initial idea, but this improvement comes from Barbara from the Chai Company! What does it do? This new feature integrates procurement with receiving in order to provide guidance to receivers and save them time when they receive items. Icicle’s procurement features (including Sales Orders, Purchase Orders, and more…) already allowed you to issue purchase orders. Say you need some flour. You can pull up your approved vendor list in Icicle and issue a purchase order to one of those suppliers. Previously, this task was not integrated with the other side of the equation (receiving) so that when the truck arrives with the flour delivery, that was a separate thing. This second step is now integrated, meaning that if you issue a purchase order for a supplier that has outstanding purchase orders, a colour-coded list of items will be displayed automatically for the receiver. They no longer have to scan and search for each item, but rather can simply select it from the list. This creates a link between purchase orders and receiving so that the receiver knows if the order was filled correctly upon delivery. This can prevent problems down the line (like a vendor oversupplying or shorting an order), which can delay production or cause inconsistencies in inventory. Where did the idea come from? Thanks to Adya from Daiya Foods for this one! What does it do? With the introduction of a new, enhanced barcode generation tool, Icicle now generates GS1 compliant barcodes at a higher resolution to ensure successful scanning. Though this is a fairly simple feature upgrade, there are some cool side benefits for GS1 compliance and traceability. Now each of your ingredients, products, etc. can have a fully compliant GS1 barcode using alphanumeric characters – even if you don’t have the correct GTIN. This is useful especially if you are shipping in between facilities that use different traceability systems, because the GS1 barcode will provide a shared language to improve communication across systems. Where did the idea come from? Thanks again to long-time Icicle user Paul from P&S Frozen Foods!